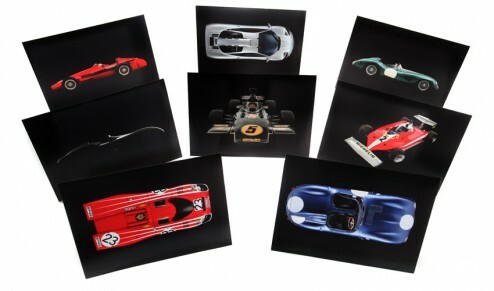 Stunning A5 (approx) greetings cards with a choice of 8 different cars over 10 cards celebrating some of greatest automobile designs.Photographed in the studio by James Mann for his Art of ….series of books, these blank art cards are available for the first time in packs containing a single design or mixed pack of one each of the following. 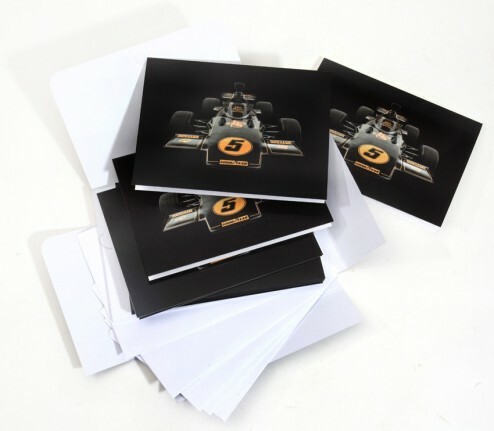 Printed on 300gsm card with white envelopes to the highest quality. Please state which pack you want in your order.Mixed or individual design. 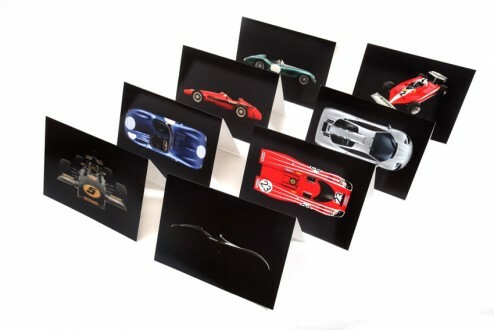 Pack price for 8 cards is £25 + £2.80 for UK delivery. Contact James for international P + P and bulk discount. 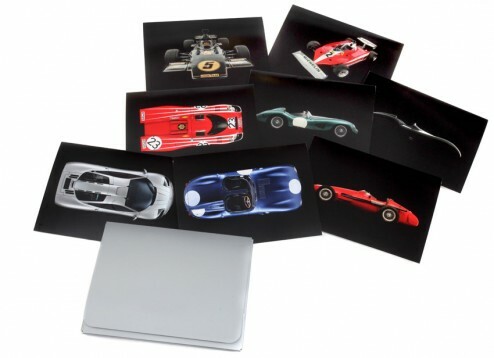 Pack of 8 A5 ( approx) greetings cars, blank inside for your own message featuring iconic cars photographed in the studio by James Mann, mixed or individual design.